FALLS CHURCH, Va. – March 3, 2015 – The Northrop Grumman Foundation announced today its continuing support to the CyberPatriot program with a multi-year grant that extends its role as presenting sponsor through CyberPatriot XI in 2019. Created by the Air Force Association (AFA), CyberPatriot is the national youth cyber education program that's inspiring students toward careers in cybersecurity and other science, technology, engineering, and mathematics (STEM) disciplines. The program features the National Youth Cyber Defense Competition, cyber summer camps and an elementary school education program. This year's annual competition, CyberPatriot VII will be held March 12-13 near Washington, D.C.
As the largest contributor to the program and its presenting sponsor since 2010, the Northrop Grumman Foundation will extend its support with an additional $5.4 million, three-year grant to AFA. This grant will continue building on the program's extraordinary growth over the past seven years, both in the U.S. and internationally. "CyberPatriot's success has been phenomenal," said Sandra Evers-Manly, president,Northrop Grumman Foundation. "In 2010, we signed-on to help our nation build a much-needed pipeline of cyber defenders. Today, the program has grown by more than 200 percent since then and has reached hundreds of thousands of students, worldwide. It has been a life-changing opportunity that's encouraged youth, especially under-represented populations, to pursue a career in cybersecurity. We couldn't be more proud of the program's success, its focus on diversity, and its impact on our economic and national security." "The demand for well-qualified cyber defenders grows by the minute," said Diane Miller, director, CyberPatriot programs, Northrop Grumman. "CyberPatriot is grooming a talented work force with a strong ethical foundation that's not only technically savvy, but focused on honing skills in communication, teamwork, and leadership – critical to future success in this field. Cybersecurity challenges are complex, requiring diversity in education, experience, perspective and problem-solving skills. 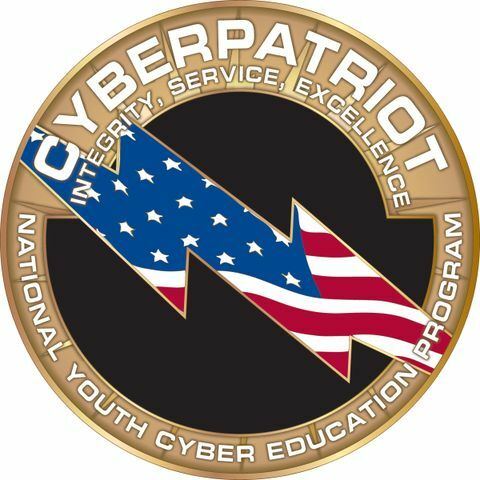 CyberPatriot has engaged youth from all backgrounds to secure our cyber-enabled way of life; we are proud to be a critical part of this national imperative." 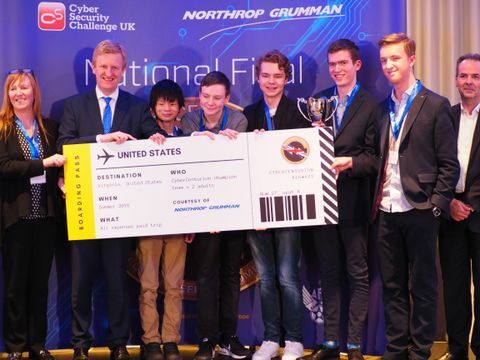 In addition to the foundation's support, Northrop Grumman Corporation contributes employee volunteers, expertise and resources to CyberPatriot, as well as scholarship funds for the winning teams. The company also provides internships to a number of CyberPatriot competitors, as do other industry and government organizations. Bernie Skoch, CyberPatriot's National Commissioner said, "The Air Force Association could not be more pleased with the visionary support given our program by the Northrop Grumman Foundation. We truly are changing young people's lives for the better and shaping America's cyber workforce. Northrop Grumman 'gets it.' Like few others, they understand that feeding the STEM pipeline is a team effort, and CyberPatriot is an outstanding example of a public-private partnership that is delivering results." In an effort to grow the program internationally, Northrop Grumman expanded CyberPatriot to the United Kingdom and partnered with Cyber Security Challenge U.K . to launch CyberCenturion. This new youth cyber defense competition will hold its first annual finals in Bletchley Park, U.K. on April 17. Northrop Grumman is committed to supporting cybersecurity education, training and technology. In addition to CyberPatriot, the foundation supports other cyber STEM initiatives including the University of Maryland Baltimore County (UMBC) program. The corporation supports the University of Maryland Advanced Cybersecurity Experience for Students program, leads the Cybersecurity Research Consortium , is partnered with the UMBC Research Park Corporation on the Cync incubator program, and operates its own Cyber Academy. For more about Northrop Grumman in cybersecurity, go to www.northropgrumman.com/cybersecurity . For more about CyberPatriot, go to www.uscyberpatriot.org . 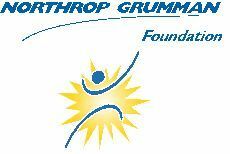 The Northrop Grumman Foundation supports diverse and sustainable programs for students and teachers. These programs create innovative education experiences in science, technology, engineering and mathematics. For more information visit: www.northropgrumman.com/foundation .